For the skinny on a Fair Ivy subscription and a discount code, jump down below, but now we move on to the review! My first of the October packages of Fair Ivy arrived and this one featured another item from Fabled Soap Co. They also had products included in the August Fair Ivy boxes. 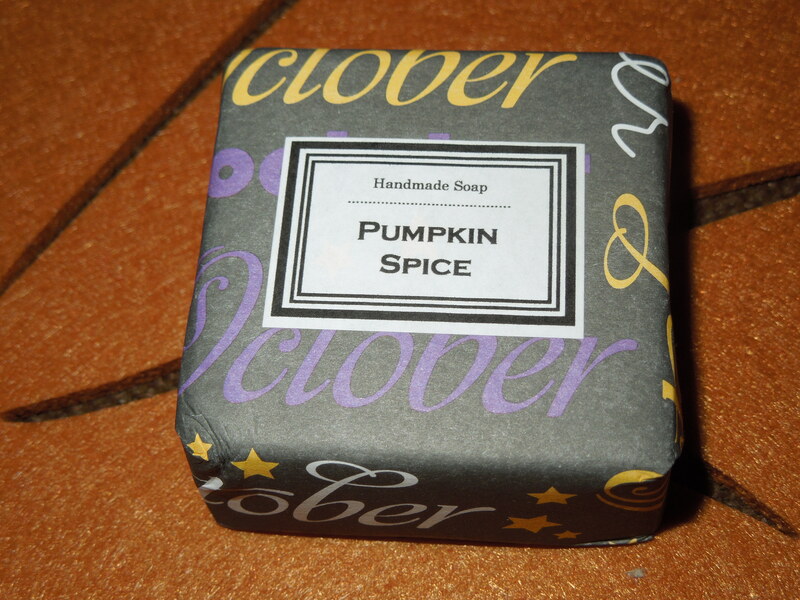 Like August, October’s package also included a bar of soap but this one was the appropriately seasonal “Pumpkin Spice” and was wrapped in some seriously cute October print paper. I love pumpkin and spicy fall scents so this is wonderful, and the October paper felt extra special for me because my birthday is this month. Fabled Soap Co. doesn’t appear to sell this bar individually on their website but they feature it in some soap sets where you get 4 bars for $20.00, making the value on this $5.00. This was a nice little seasonal gem to receive and I can’t wait to see if the other October Fair Ivy items follow this autumn theme! Do you love the pumpkin scents that pervade everything this time of year or are you tired of pumpkin-all-the-things? Previous article	← Julep: Maven Box October 2013 – The Rebel Collection! I’m totally lusting over that soap. It smells like pumpkin pie! I’m really in love with the paper though, so part of me is going to be really sad when I finally unwrap it. The funniest thing is—I didn’t even realize the artist was mixing up the types of wrapping paper she uses—I’d never seen that design until you posted it! Here’s what I saw (also cute paper): http://www.fairivy.com/handmade-pumpkin-spice-soap/ . Oh, that makes my October paper feel even more special!